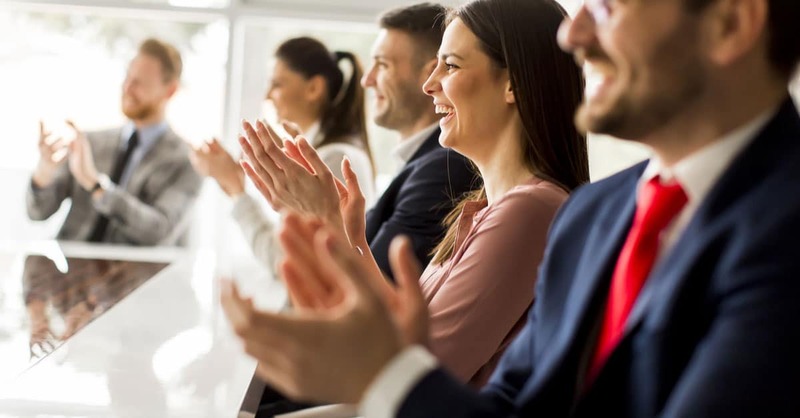 Good employees – the consistently high performers, the culture-builders, the ones who represent the future of your business – generally exist in one of two states: either they feel highly appreciated or they feel taken for granted. It really is that binary. And if that last statement leaves you scratching your head, struggling to remember the last thing you did to make your good employees feel appreciated, it’s probably safe to assume they don’t. And odds are they won’t make much of a stink about it either. Because, after all, they’re your good employees. But the sentiment is there, whether or not it’s articulated. Just festering. Metastasizing. And threatening to blight the attributes that make those particular employees your superstars. Don’t wait for your next resignation letter to think about employee engagement and recognition. The time is now, but where’s the starting line? I’ll tell you where it’s not. It’s not that Employee Satisfaction Survey you may or may not have been considering sending out. Skip it for now. You should inherently know (or at least be able to intuit at a high level) what motivates and demotivates your workforce. If you find you’re at a loss, reflect on it. You may surprise yourself with what bubbles to the top. Use those findings to shape your initial strategy. What relevant, meaningful, and motivational steps could you take to ensure your best and brightest remain plugged-in, productive, and loyal? How do you get your winners to feel like #winners? No, neither the office potluck nor the annual holiday party counts. Because even Meghan with the customer complaints, Joe with the horrible attendance and Susan with the sour attitude are welcome to participate in those. Brainstorm first, budget later, but don’t put off taking steps – no matter how small to start – to show your appreciation. It may be the difference between keeping your A team … or kissing them goodbye.